Assessing the impact of Brexit on the Irish economy in general and the Dublin economy in particular is fraught with difficulty. The likelihood is that the future relationship between the UK and the European Union will be unique and not necessarily derived from existing templates such as that of Norway. So any analysis of the impact of Brexit on Ireland or Dublin might best focus on the larger macro issues rather than attempt to explore the detail of the result of a process which has yet to commence. To a certain extent one of the main consequences of Brexit, at least in the short run, has already occurred. Sterling has fallen sharply against the Euro relative to the pre-Brexit level. However, it is broadly within the range of the level which was sustained during the 2009 to 2014 period. There is little doubt that Ireland has benefitted from a strong sterling and is negatively affected by a weak sterling. In the period 1999 to 2003, when sterling was particularly strong with an average value of 64.2 pence to the Euro, GDP growth in the Irish economy greatly exceeded growth in the UK economy. Obviously there were many other factors at work besides the exchange rate, chief of which was the stance of fiscal policy. The same caveat applies to the period 2009 to 2013 when sterling was relatively weak with an average rate of 85.6 pence to the Euro. 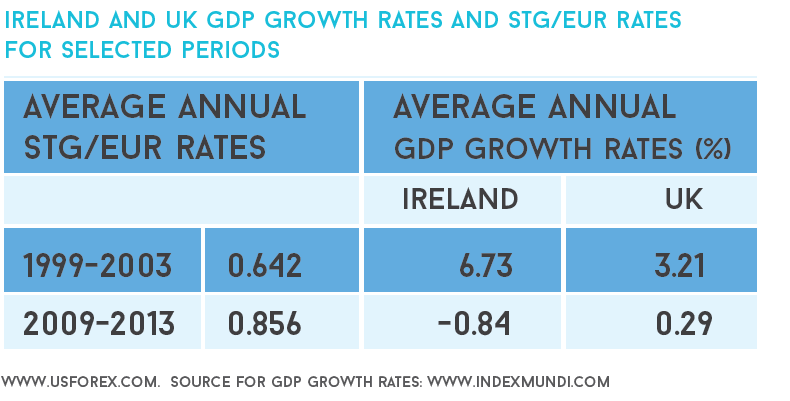 During this period average Irish GDP growth was over 1 percentage point below the UK growth rate. Exchange rates matter, especially in the short term. Over the longer term the economy with the weaker currency experiences higher inflation which offsets the competitiveness gain. Given that Irish wages are relatively inflexible in the short run there will be an impact on the profits of exporters, especially exporters of services, including hotels and restaurants. Dublin is likely to be particularly affected as its tourist product is concentrated on relatively short stay visitors, many of whom originate in Britain and Northern Ireland. 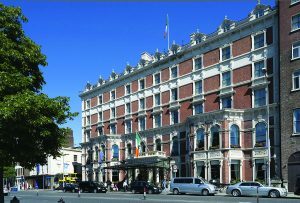 The strong upward trend in hotel room prices in Dublin is likely to be halted and the emerging shortage of room space may be reversed. Dublin is a significant exporter of non-financial services to the UK, especially to Northern Ireland. Some of these services are provided by branch operations where the costs are mainly in sterling. But head office costs will affect margins. Similarly, many small businesses located in the Dublin region treat the UK as a domestic market especially in sales to the North West of England and to Northern Ireland. In the short run margins and profits will be affected. This may feed back into earnings levels of the workforce (e.g. less overtime and more part-time working) or in employment levels. 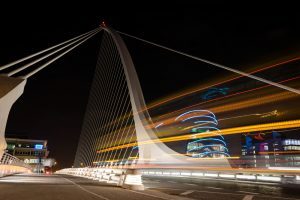 Perhaps most discussion has centered on the prospect of Brexit leading to a substantial growth of the financial services sector in Ireland, especially Dublin. It is important to be realistic in any expectations of a boom in financial sector employment in Dublin. First, there are many competing cities for high wage employment in Europe. Dublin’s main attraction appears to be language, corporate tax rate and the legal system. However, personal tax rates in Ireland are very high by European standards with anyone earning over €70,000 per annum considered an ultra-high earner and taxed accordingly. Anyone in a senior position in London would expect to earn multiples of this amount annually and will be reluctant to move to such a high tax regime. France is already rolling out the red carpet by extending its inpatriate regime, where only 50% of earnings are taxed, to 8 years. Second, the domestic UK market in financial services is relatively large, as is the market for financial services to other parts of the globe, including Africa and Asia. The growth of London has not just been due to EU membership. The City has thrived even though the UK remained outside the Euro. 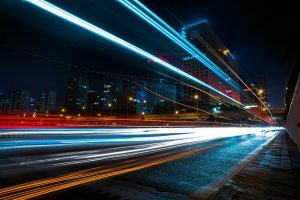 The shift of financial services out of London may be much smaller than some commentators anticipate even if EU passporting is restricted or abolished. It is likely that, at the margin, there will be an expansion of EU-centred operations at the expense of London, and Dublin stands to benefit from this, albeit in competition with other Capitals in Europe. The main drive behind the vote for Brexit was the desire to regain control of immigration. Although over half of the net migration to the UK was from non-EU countries (which the UK is free to control as an EU member) it appeared that the UK had no control of its borders. It is difficult to imagine that Brexit will not involve some restriction on the free movement of labour from the EU to the UK and vice versa. It is also likely that the common travel area between Ireland and the UK (including Northern Ireland) will be maintained and it is difficult to envisage restrictions on the employment freedoms of Irish citizens in the UK and of UK citizens in Ireland. 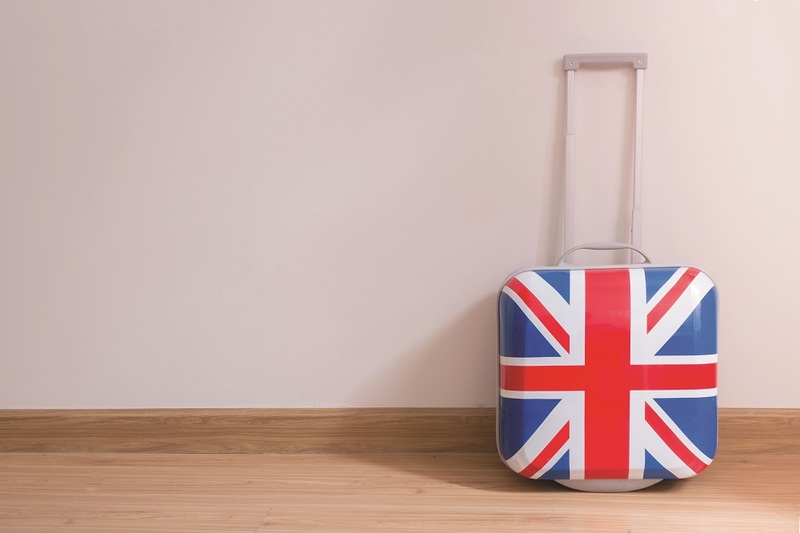 Restrictions on other EU citizens being employed in the UK could lead to increased migration from Eastern Europe to Ireland, especially to Dublin, which could put pressure on an already strained housing market. If it affects the employment prospects of native Dubliners it may lead to a growth in anti-immigrant sentiment which, by and large, Ireland has avoided to date. The main consequences of the Brexit vote has been to create increased uncertainty over the growth of the UK economy and the nature of its relationship with both the EU and the rest of the world. This uncertainty can only be a negative for investment and growth in the UK. Inevitably Brexit has increased uncertainty for the Irish and Dublin economies and this is likely to be reflected in lower investment and growth. The potentially positive impacts of Brexit on the Irish economy are unlikely, over the next few years, to offset the negative impact of increased uncertainty. A graduate of Yale University, USA, Brendan Dowling has over three decades of experience of Irish public policy analysis. Former Chief Economist and Head of Research at Davy Stockbrokers, he helped establish DKM in 1981. He has sat on the board of the Industrial Development Authority, the Irish Export Board and the Committee of the Irish Stock Exchange. Brendan has undertaken a wide range of assignments focussing on project appraisal and financing, and has published widely on economic policy issues. He rejoined DKM in 2006 and became Chairman of the firm.